Презентация на тему: "PRESENTATION ON THE TOPIC :" MY IDOL ". 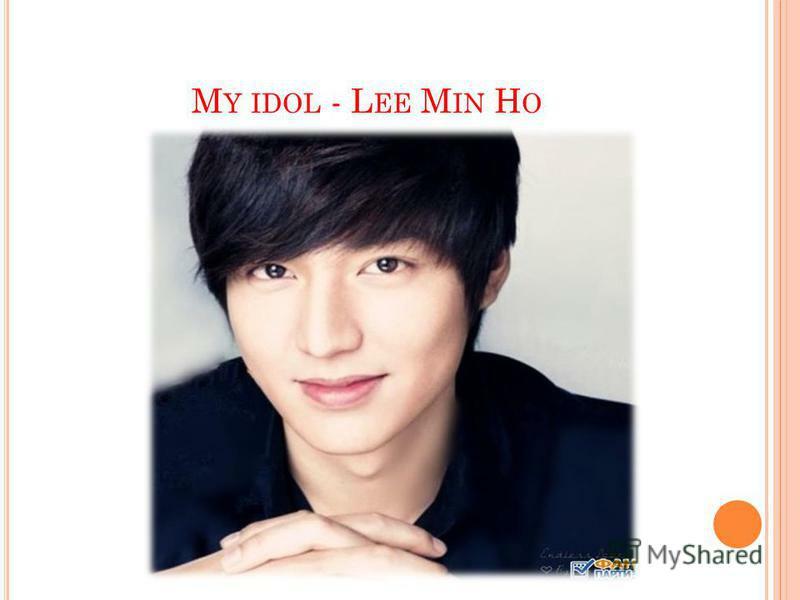 M Y IDOL - L EE M IN H O.". Скачать бесплатно и без регистрации. 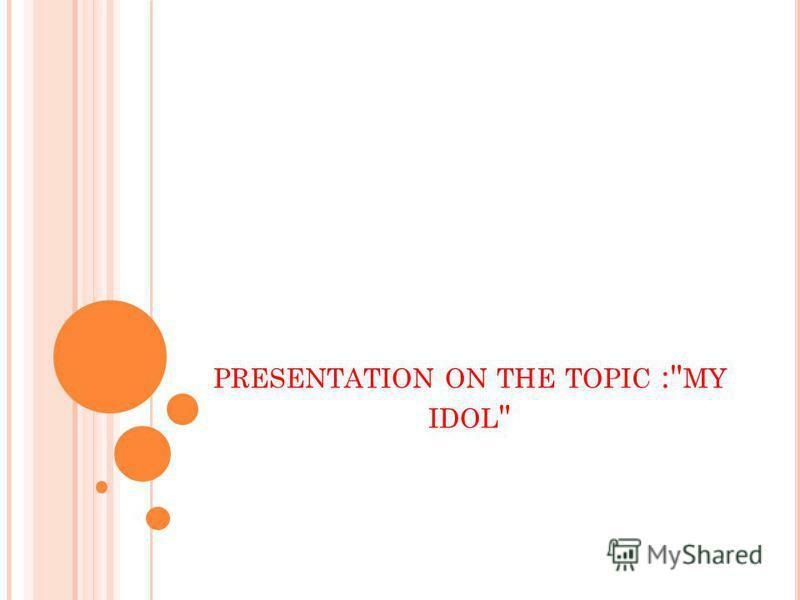 1 PRESENTATION ON THE TOPIC :" MY IDOL "
4 Family: Parents and older sister. Ideal girl: petite, good character and fair skin. 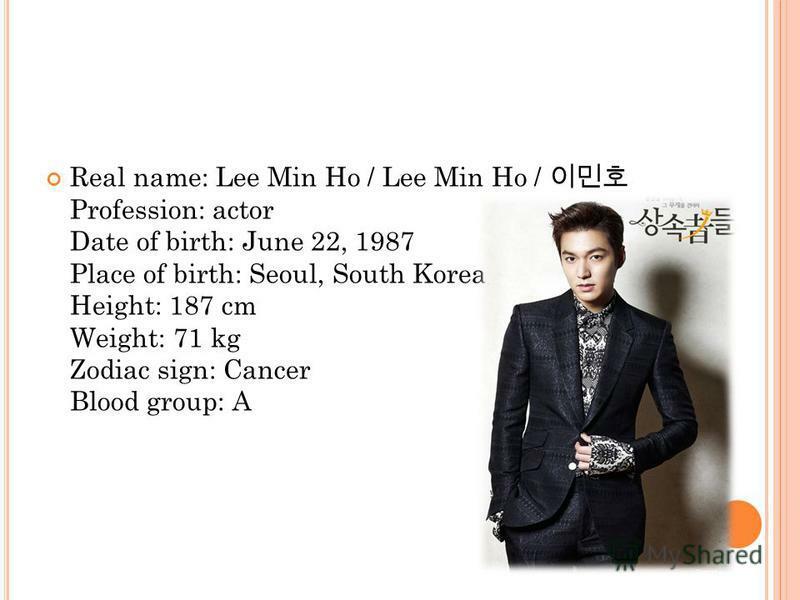 After starring in the drama City Hunter met with the co-serial - actress Park Min Young, with whom he had known for over 5 years. However, the couple broke up. 5 S INCE CHILDHOOD, L EE M IN H O DREAMED OF BECOMING A FOOTBALL PLAYER, BUT AN INJURY IN THE 5 TH GRADE OF PRIMARY SCHOOL DID NOT ALLOW THESE DREAMS TO FRUITION. M IN H O, HOWEVER, STILL ENJOYS FOOTBALL AND NAMES OF C RISTIANO R ONALDO WITH YOUR FAVORITE PLAYER. There are a lot of professions in the world.. For example: A Doctor. Урок английского языка во 2 классе. The theme of lesson is Games and Sports games. Meet my Family This is my family. Ee He and She in our family We cannot live without Ee He and She in our family We cannot live without Ee He is my father. PRESENTATION ABOUT MY HOBBY! TIMUR DUMBADZE, 3A FORM, SCHOOL 1973. Famous people. 1234 5678 9101112 1. He was a world-wide known American comic. He played in Hollywood. A personage he created was a funny young man in. London Choose the correct answer: 1.London is the capital of a. Scotland b. Great Britain c. America 2.St. Paul s Cathedral is a. a church b. a fortress. B LAGOVESHCHENSK IS ON BORDER WITH C HINA T HIS IS HOW MY CITY LOOKED A HUNDRED YEARS AGO. Walt Disney, a famous American producer, made some of the world's most magical films. Hello, boys and girls! Hi to you all. I am your new friend. My name is Peter. I am ten. I live in Brighton. I live in Park Street. Mickey Mouse. His name is Mickey, Mickey Mouse Mickey Mouse is a comic animal cartoon character. His fathers name is Walt Disney. Mickey Mouse was created. About me Кузнецов Максим 8В. Appearance My name is Maxim. I am 14 years old. Im blue-eyed. I'm not very tall. Our City – Kursk. 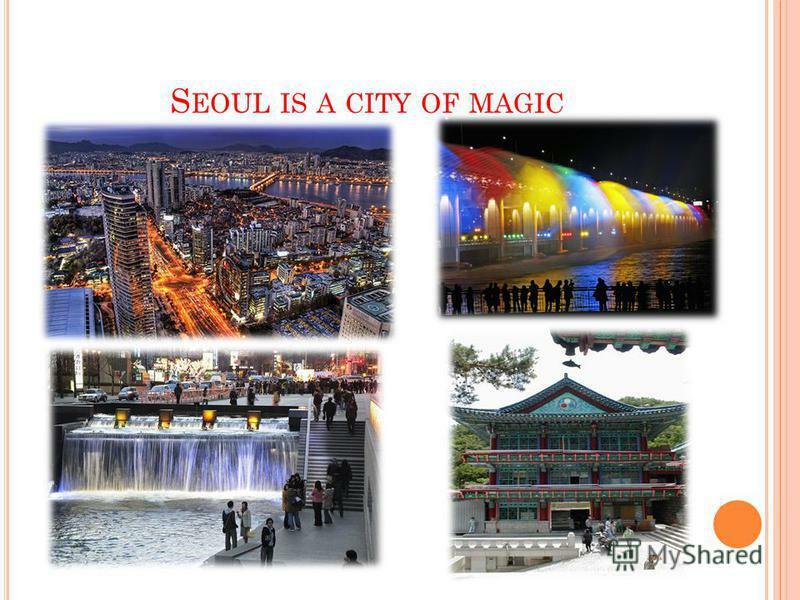 Presentation about the city. Presentation was created by pupil of the 10A class – Losev Vladimir. My Favourite Writer Angelina Tabakaeva Form 6. My name is Angelina. My name is Angelina. I have got a lot of hobbies, but the most important of them is. My role model is Roman Pavluchenko. Roman Pavluchenko Russian football player, forward of the national team of Russia. Presentation by Bardashova K., Bulavkina A., Volkova I., Pegov I. Our Christmas Holidays D senior 2. KONSTANTIA I didnt do anything special on Christmas day. My family and I went to my grandparents house and we had Christmas.